We are a 5 year old professional photography services company, specializing in Candid Wedding, Engagement, Reception, Catholic Wedding, South Indian Wedding, Muslim Wedding, Pre-wedding Shoots, Bridal Portraits, Hindu Wedding, Indian Wedding, Couple Portraits, Christian Wedding, Wedding, School Events, Kindergarten, Birthday, Kids Portraits, New Born, Graduation Ceremony, Babies & Kids, Model Portfolio, Show & Pageant, Celebrity & Glamour, Portraits, Fashion & Portfolio, Industrial Shoot, Interiors & Architecture, Product Shoot, Photojournalist, Advertising, Food, Stock Photography, Sports, Documentary, Automobile, Commercial, Anniversary, Convocation, Housewarming, Maternity, Special Occasion, Conferences, Team Building Event, Concerts, Campaigns, Expo/Exhibitions, Corporate Events, Adventure, Destination/Sights, Travel, Wildlife, Macro, Landscape, Flora & Fauna and Nature photography. We offer products and services such as Frames, Photobook, Shortfilms, Poster, Documentary, Calendar, Brochure and Cinematography. We accept customized photography requirements. Our studio is in Visakhapatnam. We cover events in Andhra Pradesh, Karnataka, Goa and All Over India. We are comfortable communicating in Telugu and English. Thanks a lot to PR Photogrpahy. I have got wonderful clicks for my daughter which would definitely a sweetest memory for us. You are the best to me in all the ways I have come across and I would continue with PR photogrpahy for any future events in my family. Its really worth of money. Excellent timimg. Thanks a ton again and wish you all the best ?? Good?good good good?good good good good good good good good good good good good good? photography satisfaction... Good service provider..... ???????????????????????????????????????????????????????????????? 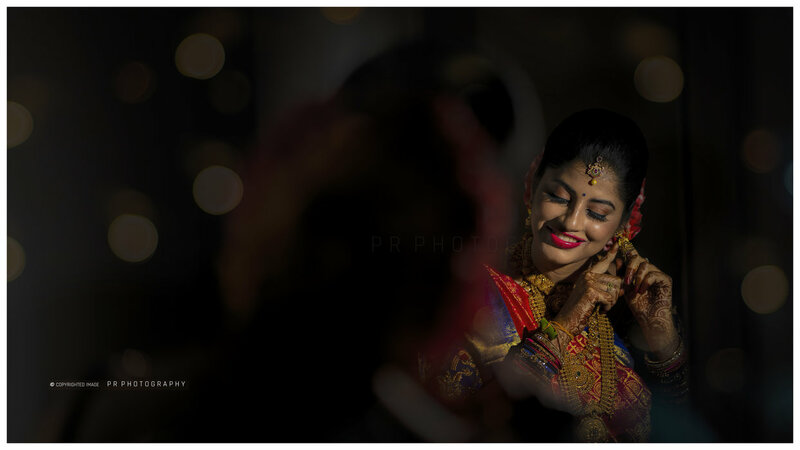 PR photography covered my wedding held in January 2017, I go to know Prakash through this site as far as I remember. I am more than satisfied with his photography skills and the dedication shown by the team is something I liked the most. Each and every moment and emotion was captured beautifully by the photographers I will definitely recommend PR to all my friends and family. Hats off to their dedication and hard work put by the whole team to get the best output for me. Efficient and friendly approach good knowledge.....the best way to get better shots is to shoot professional......full of great tips professional and traditional photographer. Experienced person with execellent skills in photography and also has the value of money .. And also has good creativity skills and the quality output of the pics are good .. Your message was successfully sent to PR Photography. The Photographer may contact you soon.